At Gulf Coast Leak Detection, we are committed to protecting your privacy. This privacy statement explains data collection and use practices of the Gulf Coast Leak Detection web site (“Site”); By using this site, you consent to the data practices described in this statement. We believe everyone has the right to enjoy the internet without fear of attacks and our website is safe from such abuse. This site is for everyone to enjoy, at any age, and all reproduction of our material in any way must meet our standards and written approval. It is our wish for you to surf our site hassle free and without concern as to foul content or malware. All material is written in-house, by us and for you. 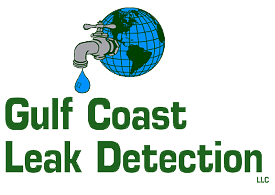 All material, slogans, names, and styles of our sites have exclusive rights retained by Gulf Coast Leak Detection. We will collect personal information if you choose to register as an e-mail participant or from any information you submit to us. If you submit information, including any of the following: name, address, telephone number, business name, and/or e-mail address, we may retain this for the purpose of helping you and for helping us change this site to fit you better, however none of this information will ever leave our files. We will never contact you outside of your request. Our servers our not used for ANY third-party marketing purposes of any kind. Should you receive unsolicited or improper contact with our name attached, you should forward a copy to us to use for legal action against the abuser. The Site may use this collected data to operate ads online for the purpose of doing business as Gulf Coast Leak Detection. This includes Google Adwords, Bing Ads, Yahoo Ads and others like this. Personal information we collect will be used to provide the service(s) mentioned above or to carry out the transaction(s) you have requested or authorized. This may include using your personal information to request additional information on feedback that you provide about the product or service that you are using; to provide critical updates and notifications regarding your e-mail account; to improve the product or service, for example: updating help articles to include your type of problem but never would we reveal any personal information you submit to us. We occasionally hire other companies to provide limited services on our behalf, such as maintaining this site, handling the processing and delivery of email and postal mailings, or performing statistical analysis of our services. We will only provide those companies the personal information they need to deliver the service, if required. They are required to maintain the confidentiality of that information and are prohibited from using that information for any other purpose and agree to these terms. Gulf Coast Leak Detection may disclose personal information if required to do so by law or in the good faith belief that such action is necessary to: (a) conform to the edicts of the law or comply with legal process served on Gulf Coast Leak Detection or the Site; (b) protect and defend the rights or property of Gulf Coast Leak Detection and our web sites, or (c) act in urgent circumstances to protect the personal safety of Gulf Coast Leak Detection employees or agents, users of Gulf Coast Leak Detection products or services, or members of the public. Personal information collected on the Site may be stored and processed in the United States, Canada or any other country in which Gulf Coast Leak Detection or its affiliates, subsidiaries or agents maintain facilities, and by using this site, you consent to any such transfer of information outside of your country. Except as otherwise described in this statement, personal information you provide on the Site will not be shared outside of Gulf Coast Leak Detection and its controlled subsidiaries and affiliates without your permission. Please be aware that this privacy statement and any choices you make on the Site will not necessarily apply to personal information you may have provided to Gulf Coast Leak Detection in the context of other, separately operated, products or services. SECURITY & ACCESS TO PERSONAL INFORMATION. Gulf Coast Leak Detection is committed to protecting the security of your personal information. We use a variety of security technologies and procedures to help protect your personal information from unauthorized access, use, or disclosure. For example, we store the personal information you provide on computers that are properly secured and with limited access. Our work computers & web storage servers are not connected. Additionally, we use several other ways to secure this data, which we can not disclose for best security practices. A cookie is a small text file that is placed on your hard disk by a Web page server. Cookies cannot be used to run programs or deliver viruses to your computer. You have the ability to accept or decline cookies. Most web browsers automatically accept cookies, but you can usually modify your browser setting to decline cookies if you prefer. If you choose to decline cookies, you may not be able to fully experience the interactive features of this or other web sites you visit. Gulf Coast Leak Detection may occasionally update this privacy statement. However, this will never change our rules for privacy and security, as we are committed to adhere to the highest standards for these areas. We encourage you to periodically review this privacy statement to stay informed about how we are helping to protect the personal information we may have collected. Your continued use of the service constitutes your agreement to this privacy statement and any updates (which will be visible by the date at the top of the page). Gulf Coast Leak Detection welcomes your comments regarding this privacy statement. If you believe that we have not adhered to this statement, please contact us by e-mail or postal mail at the address provided on our Contact Us page, and we will use commercially reasonable efforts to promptly determine and remedy the problem.